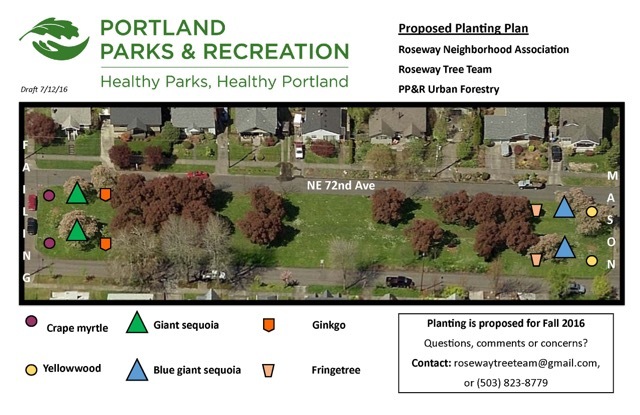 Join the Roseway Tree Team, Roseway Neighborhood Association, and Urban Forestry in revitalizing the Roseway Park Blocks. Together we will plant 9 to 11 trees! Please fill out the form once for each person who plans on attending. A reminder email will be sent to you as the date approaches. We will be planting rain or shine!! â€¢ Prune street trees in groups of 4-5 people with an arborist. We will be out rain or shine!! 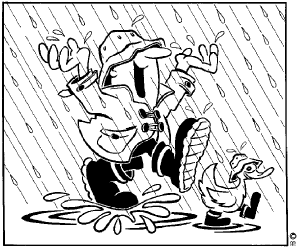 We recommend long pants and long sleeves, sturdy shoes and a rain/sunhat and bring a backpack, rain gear and water bottle. Instruction, tools, gloves, coffee, water and snacks will be provided. Walking around your neighborhood, do you see spaces to plant a tree, street trees in need of maintenance, and neighbors who are concerned about their trees but don’t know where to begin? 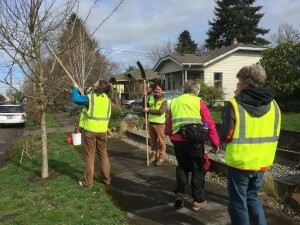 Through the Tree Inventory Project, Urban Forestry is helping Portlanders take action to improve their community’s street trees, one neighborhood at a time. Here’s a link for more info. Volunteers are guided by Urban Forestry staff, who provide training, tools, and event organization. Together, information is collected on tree species, size, health, site conditions, and available planting spaces. Data are analyzed by Urban Forestry staff, and findings are presented to neighborhood stakeholders at an annual Tree SummitÂ at the end of the season in November. 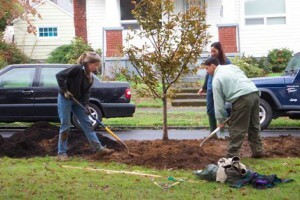 At the summit, neighborhood groups begin developing tree plans: They form a working neighborhood tree group and set achievable strategies to improve existing trees, expand tree canopy, and connect the neighborhood with city and nonprofit resources. More than just producing data and a tree plan, this project brings communities together. 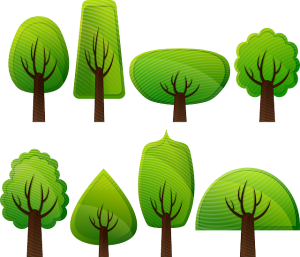 Participating in the tree inventory project is a great way to meet your neighbors and connect with others who value our green resources!